Sunday started as bright as Saturday. The first order of business was a marriage ceremony. A couple with a close family connection to the NABF. While sitting in the audience, I must have looked sunburned because the lady sitting next to me offered SPF 30. Sitting near me, I also talked with Kim (knowledge of stage set-up) and friend Beebe (sp) who came in memory of her husband. 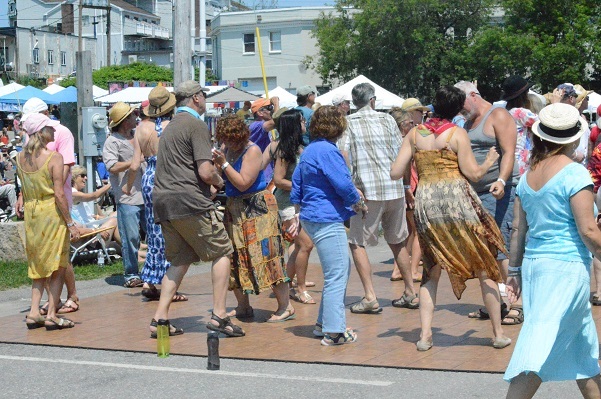 The people in Rockland have taken to this fest and want to make sure the visitors feel welcome and enjoy themselves. Once the bands started it was as much energy as Saturday. Dexter Allen from Jackson, Mississippi openned. Always close to my heart as Dorothy Moore lives there. 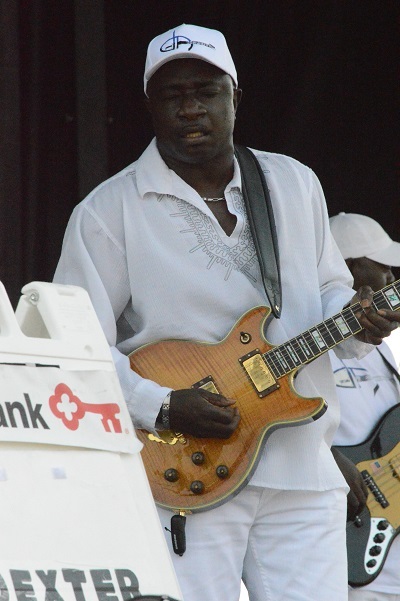 The young sensations for this fest were the Peterson Brothers from Texas. 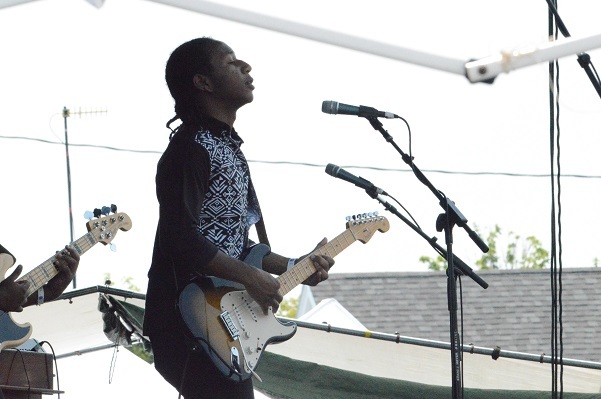 The will also be at the coming PA Blues Fest. 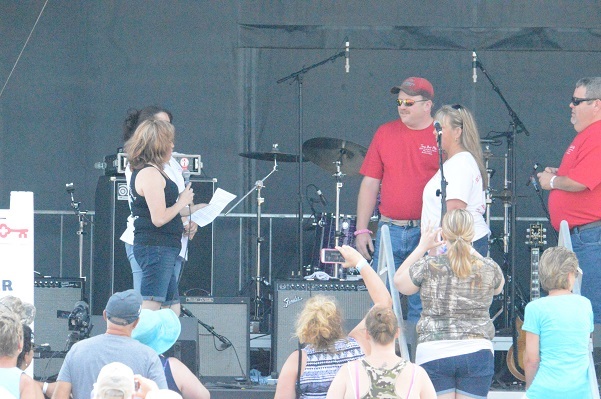 During a set change, Ruth Atherton from Raising The Blues came up to let people know of the relation between her organization and the NABF. 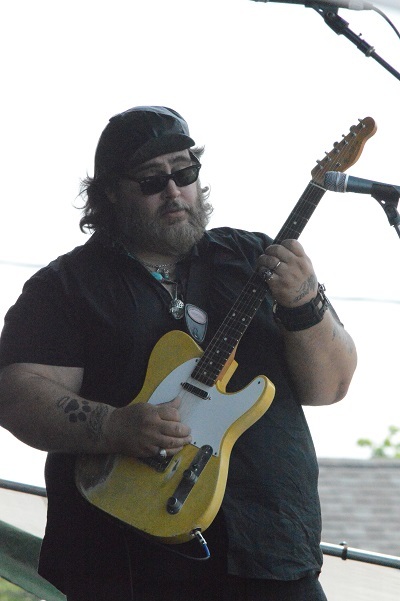 For your information, Raising The Blues, Ltd. is a 501(c)3 non-profit charitable organization dedicated to bringing music to children undergoing medical treatment or recovery, and children with physical, emotional or educational challenges. 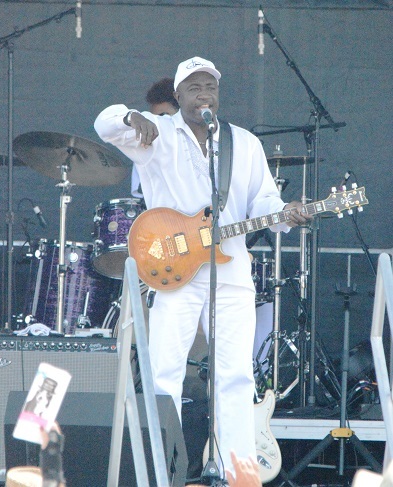 Primarily through the use of Blues music, we seek to raise the spirits, abilities and aspirations of children who can benefit from musical enrichment and interactive musical opportunities. 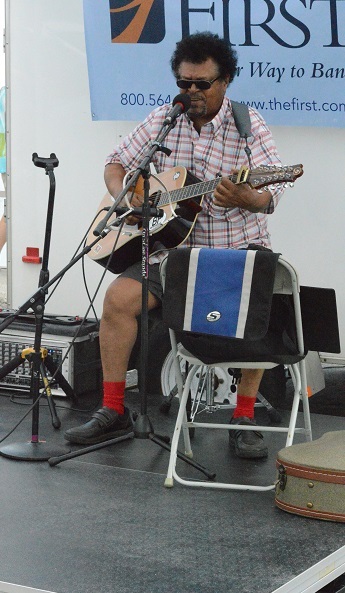 Our musicians and volunteers bring musical performances, interactive musical opportunities and musical training to children in hospital, rehabilitation facilities, schools and special education settings or other appropriate venues. 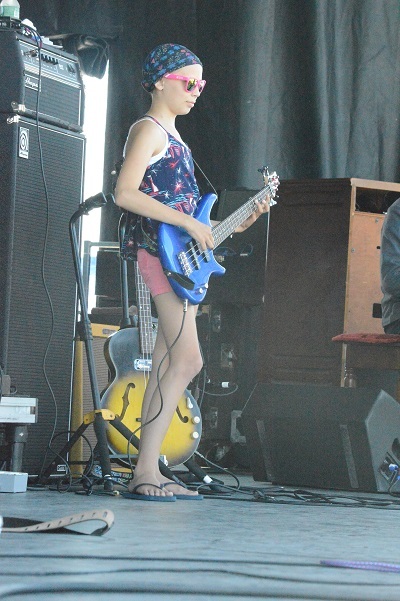 She was accompanied by Katherine Bowen of Rockport, Maine, the young bass player from yesterday. 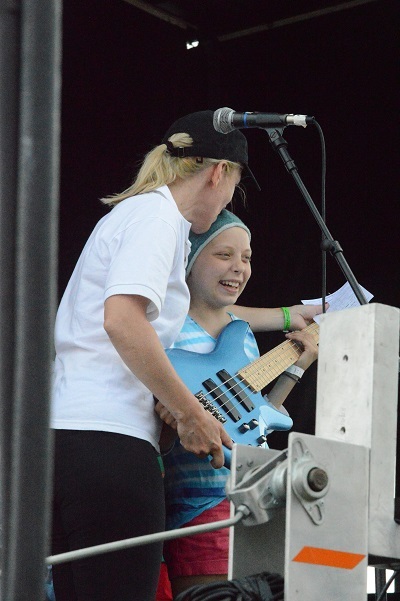 Ruth explained how Katherine was taking bass lessons as she fights leukemia. For her dedication, she was named the organizations musician of the year (my words). To mark the occassion, Ruth mentioned that Katherine borrowed the bass she played on Saturday. 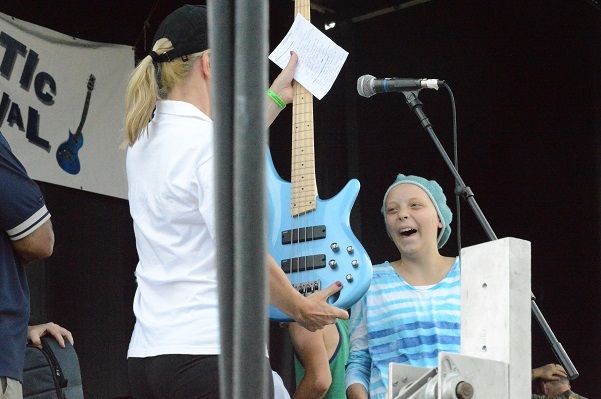 Then presented Katherine with a bass of her own. I don’t know about you but Katherine’s expression says it all. Again, plaudits to the blues community for all the good works they do. For more information on Raising The Blues go to: http://raisingtheblues.org/. 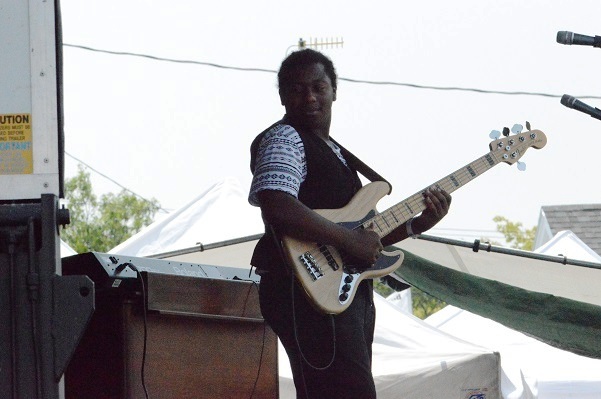 Now for some Chicago attitude, it was the Nick Moss Band. 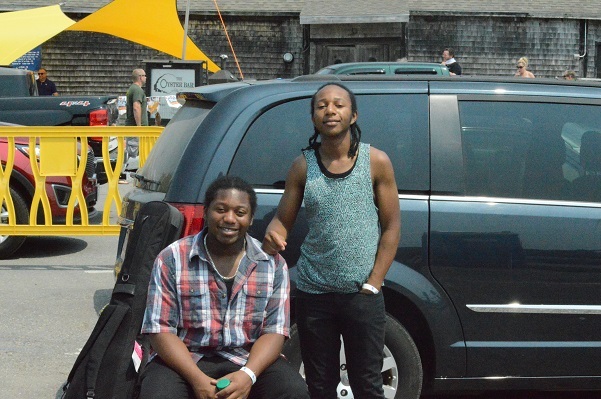 Micheal Ledbetter wore a flannel shirt in deference to being in Maine. Nick was in good form and taking comments from the audience. 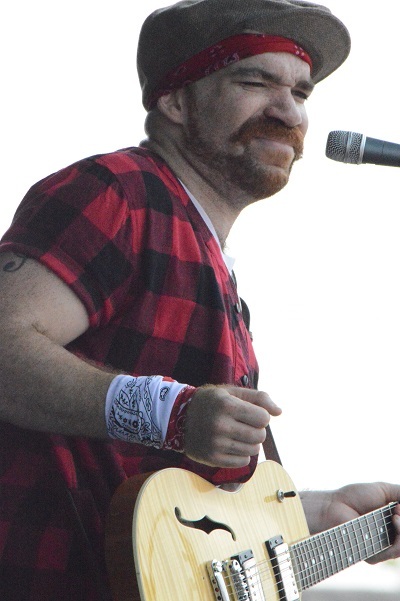 Harrison Kennedy was again entertaining on the side stage. 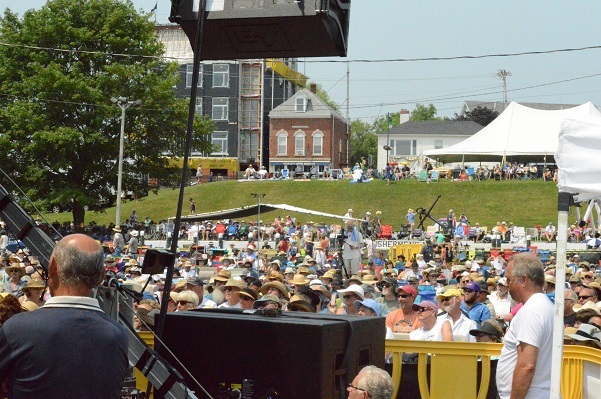 Rod Piazza and the Mighty Flyers took the stage. 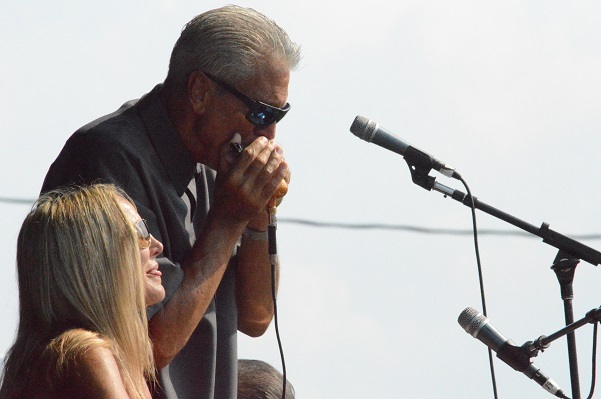 After the guitars, Rod’s harmonica echoed. Miss Honey on the piano took a dynamite solo. When Rod went into the audience, it erupted. 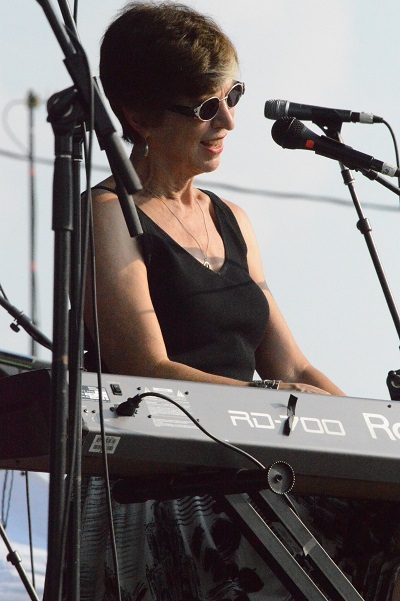 Closing out the Fest was Marcia Ball. Some more piano from a classy lady. 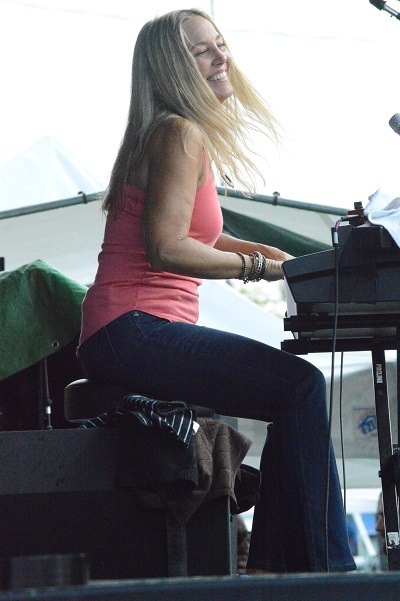 Then she was joined by Honey Piazza. Another great duo. Time to pick up and say good-by. It was a full weekend of music. 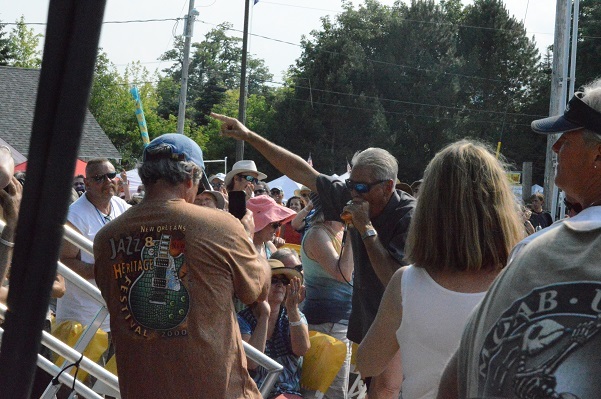 The blues reigned and the crowd responded. 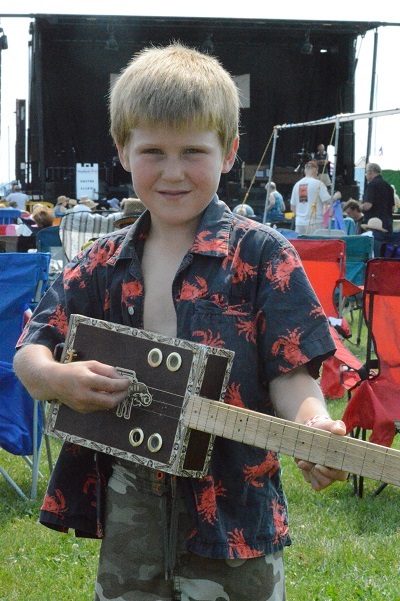 The kid with the cigar box guitar sure looks like Dan Stevens. Hum! 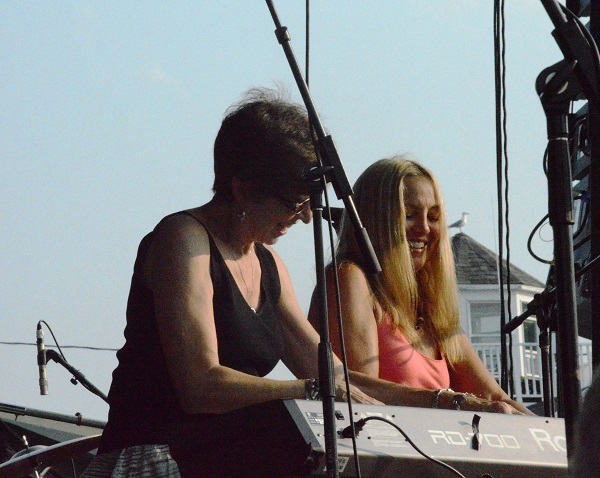 Marcia and Honey on keyboards – what a blast.